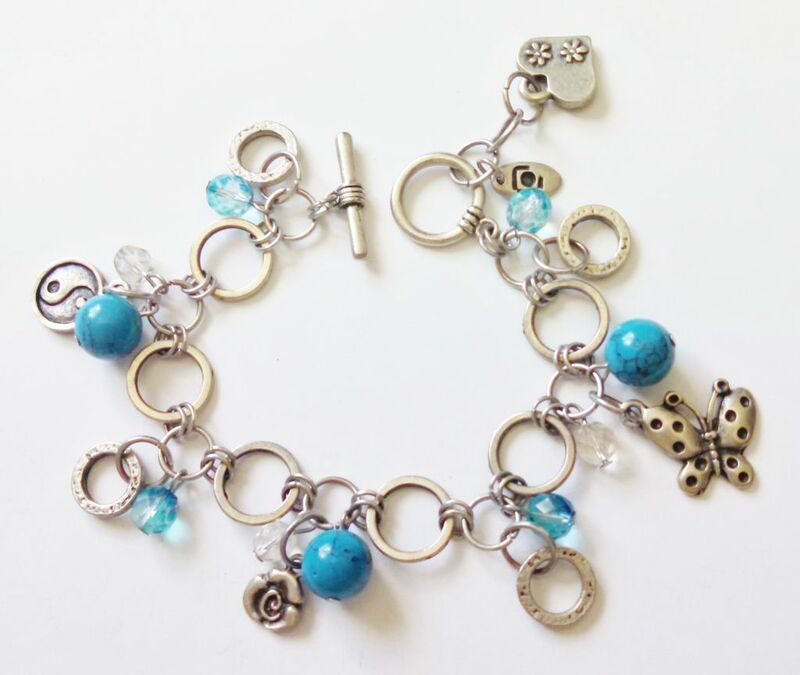 Get yourself or a loved one in a Happiness State with this Happy Charms Bracelet, nicely crafted from Silver-tarnished Tone metal with Butterfly, Yin-Yang Symbol, and Genuine Turquoise Blue Ball Charms. Elegant contemporary design make this unique Bracelet an excellent fit for many casual occasions. The Bracelet is built on Chain with various size links and other smaller Charms of Heart, Flower, and Clear Crystal. Approximately 8 1/4" long.